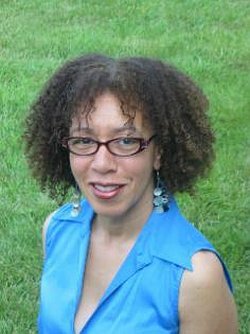 Carole Boston Weatherford is the author of the new children's picture book Schomburg: The Man Who Built a Library. It focuses on Arturo Schomburg, the Harlem Renaissance figure and collector of books and art from Africa and the African diaspora. 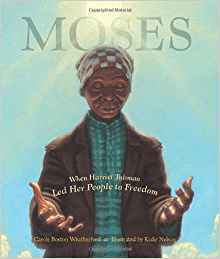 Weatherford's many other books include Becoming Billie Holiday and Moses: When Harriet Tubman Led Her People to Freedom. She lives in North Carolina. Q: Why did you decide to write this picture book about Arturo Schomburg? A: It was Eric’s idea—Eric Velasquez, the illustrator. We worked together on four books in the past, and on a couple of occasions in the past he pitched a book to me. With the Jesse Owens book, he said, How about a book on Jesse Owens at the 1936 Olympics, and I said, Okay! He said he’d like to do a book about Schomburg, and I said, Okay! But the journey of this book was longer. Within a year or two we had a contract for Jesse Owens. This book took a decade. It was a long journey. I wrote the manuscript as a book-length poem for a picture book. I let it sit for a while, and pulled it out again years later when our agent said, Do you have anything Eric and you can work on? I delved deeper. There’s a sequence of poems in the book, so you have to have more words than in a book-length poem. I had to do more research—I had to show Schomburg’s discovering as well, [information] that debunked what his 5th grade teacher had told him [that African descendants had no history]. Q: How did you research the book? A: [There are] two books about Schomburg—one is the definitive biography of him, and one is a monograph, The Legacy of Schomburg. There were those two, and then, as I looked at the books and artifacts and art in his collection, I researched those pieces as well, to see what he may have discovered, himself. I tell people it’s a book about primary sources. This man was collecting them at a time when primary sources were all there was. Now there are secondary sources, thanks to the efforts of Schomburg and others. I did not go to the Schomburg Center to work on this project, but I had been there a long time ago, before digitizing. I was there [doing research] with white gloves on. It was in the ‘80s. Q: Did you learn anything that especially surprised you? A: I’m trying to think of anything I didn’t know…I had not studied the Haitian Revolution that much, and was finding out details about it. And this may seem trivial, but he married three women who were all named Elizabeth! The poem most referenced by reviewers is Whitewash, about some of the people we typically don’t think of as having African ancestry, but did. But I had heard of this before. With Beethoven, I was not sure it had been confirmed; I had heard of the other three, Pushkin, Audubon and Dumas. It was fairly well known in circles of very enlightened black people who might be in those disciplines. That’s been the most eye-opening for many people who have reviewed the book. I knew Schomburg gave his collection to the library but I didn’t know Schomburg was so intimately involved with other figures from the Harlem Renaissance. He was helping other people with their research, and helping writers. I think at that time the Harlem Renaissance needed a figure like a Schomburg. Somebody had to be the keeper of the history so others could come to the well and drink from it. 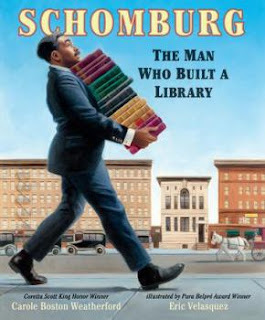 If Langston Hughes was the bard, Schomburg was the librarian. Q: What do you hope readers take away from his story? A: I hope they will take away that being someone of African descent is not something you can pigeonhole into a stereotype. I hope they will understand the breadth and depth of the African contributions throughout the diaspora, particularly in the United States. Q: What do you see as his legacy today? A: The collection itself. It’s the world’s largest collection of African American manuscripts and artifacts and primary sources. I hope kids will appreciate how exciting it must have been for Schomburg to deal with these primary sources. Research can be exciting. My dedication kind of speaks to that—“Curiosity is the seed of discovery. Discovery is the root of progress.” To move forward, you’ve got to have something with you. You’ve got to know you’re entitled to [more]. Q: Getting back to Eric Velasquez, what do you think his illustrations add to the book? A: They certainly dramatize the narrative, and lend dignity to the subject matter. Because they go from the Caribbean to the United States to Europe, they certainly cover a wide scope and sweep…I love the illustrations. I love that he’s used oil. The oil makes this more masterful. A: I’m working on a project about the Selma to Montgomery march. It’s a book-length poem. 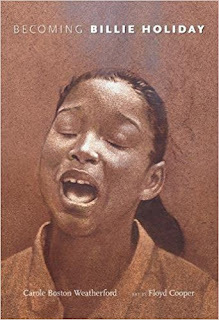 The next to come out will be Be a King, illustrated by James Ransome. It’s not a biography but a book about how children can adapt his principles of service in their own young lives. It weaves in aspects of his life, through images of published and personal milestones of his life, with stories of kids doing service projects in their community, living out King’s dream, and working on a mural of King at their school. Q: Anything else we should know about the Schomburg book? A: If I’m asked what my favorite poem is, it’s the last poem, called Epitaph. It weaves in an African proverb, that a book is a garden carried in a pocket. That portrait of him [on that page] almost comes to life.